The weekly newsletter delivers excellent TED-Ed content to your inbox every Saturday. It’s your one-stop shop for everything TED-Ed from the previous week including TED-Ed Animations, TED Talks Lessons, TED-Ed Best of Web and blog posts. Don’t have time to check ed.ted.com every day? This newsletter is a perfect solution. 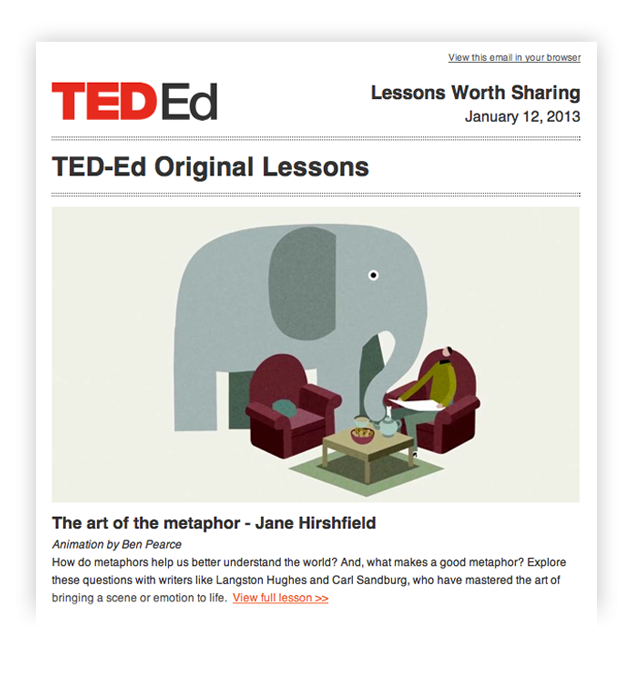 We will not use your email address to send you anything other than information about TED-Ed. We will not sell your email address to any third party. You can opt out of our email list at any time you wish.